Formed in 2006, the Consortium is an alliance of several leading organizations specialized in developing and deploying anti-censorship technologies for Internet users in oppressive regimes. The Consortium partners have contributed significantly to the advancement of information freedom in China, Iran, Burma, and many other closed societies. The Consortium and its member organizations are largely supported and operated by volunteers. Most of the volunteers are Falun Gong practitioners exiled from China, and many were also Tiananmen Square students in 1989. 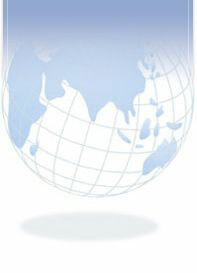 • Global Information Freedom, Inc.(GIF) (www.internetfreedom.org), a non-profit organization. In addition to being an expert analyst of Internet blocking and anti-censorship technologies, GIF has been conducting in-depth analysis of the workings of the Chinese Communist Party (CCP) and the needs of Internet users in China. Since 2002, it has organized massive grassroots campaigns to send uncensored information to Chinese citizens via DVDs, emails, and postal mail. Between 2002 and 2004, it analyzed the needs and concerns of Internet users in China and provided requirements for Internet tool designs. Over the last three years, it has actively monitored the Internet blocking methods used by the CCP and has organized volunteers to set up three anti-censorship systems: www.enixtv.com, www.xinqiaonet.com, and Uniweb, which later became part of DynaWeb. • Dynamic Internet Technology, Inc. (DIT) (www.dit-inc.us), a private technology company incorporated in 2001. DIT is at the forefront of anti-censorship technology for Chinese users, a leading researcher of Internet censorship in China, and an expert in mass-emailing to China. It has been providing mass mailing services for Voice of America (VOA) and Radio Free Asia (RFA) since 2002 and for Human Rights In China since 2003. DIT has also provided short-term mass mailing services for China Information Center and The Epoch Times, Inc.
• UltraReach Internet Corp.(www.ultrareach.com) , formed in November 2002 in California. This company has created a method for the connection and reconnection of users to enable website access without being blocked and has also invented the Global Internet Freedom Technology (GIFT) platform - a dynamic node-proxy anti-censorship system. This system has been up and running without interruption since August 2002. • Garden Networks for Freedom of Information Inc. (www.gardennetworks.org), a Canadian not-for-profit organization. This organization focuses on providing cutting-edge technologies to help people inside countries with Internet censorship. Garden Networks has developed a series of software tools (including Garden and GTunnel) that have been introduced to Internet users and widely used in China since 2001. Over the years, the Chinese communist regime has used many unethical tactics to try to stop Consortium members, including vandalism, intimidation, physical assault and death threats. Nevertheless, these organizations have not for a day wavered in their efforts. The Consortium members and allied organizations will never bow to, nor be influenced by, China’s communist regime or any other totalitarian regime.